Marketing is a huge part of running a business. It determines what strategies you use to call out to customers and represent your company. Many business owners market their own companies. But first, it’s best to get professional advice from a marketing consultant. There are many services that can help you with this. 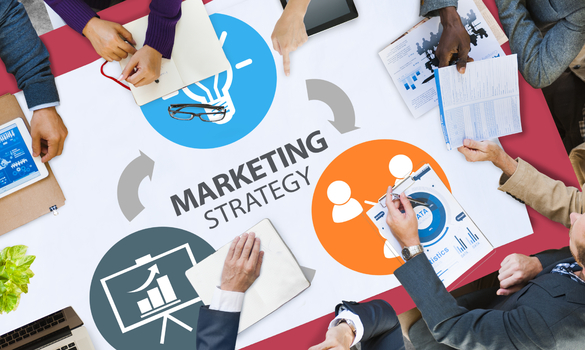 Find out what marketing strategy consulting services will do for your company. The first thing to expect from this consultation is a lot of questions. They need to understand how your business operates. In order to help you, the consultant is going to need to have an understanding of your business goals and future plans. Furthermore, the consulting professional needs to understand your target audience and demographic. They are going to look for your company’s strengths and weaknesses. From this, they will be able to help you determine what steps to take to improve your business. The next step the consultant will take is a review of your current work. Not only will they look at what your company does, but they will look at how you advertise your business. Next, they will go over the key elements of a successful marketing plan with you. Since marketing strategy consultants have plenty of experience, they can offer proven expertise to realign your current direction. This will give you a general idea of how to create your own plan. You can then start putting your own marketing ideas together. Another important factor that the consultant will cover is most important information to market. This may involve some marketing research. You can look at what your competitors do to get some ideas. You can also talk to your customers to figure out what is appealing about your company to them. Whether you decide to implement market testing, customer surveys or focus groups, the consulting service will determine what your customers value most. The marketing consultation can only take you so far. It’s up to you to decide how to advertise your company. A popular method used by marketing consultants is a measurement system. This system is a way to oversee your marketing performance. With this system, you will be able to see your marketing data progress over time. The marketing consultant can also help you link your business finances to your marketing. This will make things easier for you, because everything will be on the same system. You will be able to calculate your return on investment for the company. At this point, your marketing strategy will be in order and ready for operation. Overall, there are a few general things to expect from this consultation. The marketing strategy consulting service will work closely with you to develop a strategic plan and future objectives for your company. They will work with you to find the best strategy for your company. Every consultation is different, because every business is different. These services work hard to create unique plans for each business. They will help you improve your business, and put you on the path to success. If you decide to hire marketing strategy consulting services, you will learn about your current efforts and customers. They will ask you plenty of questions to understand the business model. Secondly, the consultants will assess your current marketing strategies and provide recommendations. Finally, they will discover what matters most to your audience, provide ROI measurements and recommend a unique plan for your company. This is the type of service that you can expect from marketing strategy consulting professionals.